Archaeologists argue that the replacement of Neanderthals by modern humans was driven by interspecific competition due to a difference in culture level. To assess the cogency of this argument, we construct and analyze an interspecific cultural competition model based on the Lotka−Volterra model, which is widely used in ecology, but which incorporates the culture level of a species as a variable interacting with population size. We investigate the conditions under which a difference in culture level between cognitively equivalent species, or alternatively a difference in underlying learning ability, may produce competitive exclusion of a comparatively (although not absolutely) large local Neanderthal population by an initially smaller modern human population. We find, in particular, that this competitive exclusion is more likely to occur when population growth occurs on a shorter timescale than cultural change, or when the competition coefficients of the Lotka−Volterra model depend on the difference in the culture levels of the interacting species. Ecocultural niche modeling and radiocarbon dating suggest a causal role for interspecific competition in the extinction of Neanderthals. Most archaeologists argue that the advantage to modern humans lay in a higher culture level (a sizable minority dispute this view). Competition between the two species may have occurred when a modern human propagule entered a region occupied by a larger Neanderthal population. We present a model for this replacement, stressing the importance of the founder effect. Our findings shed light on the disappearance of the Neanderthals, showing that endogenous factors such as relative culture level, rather than such extrinsic factors as epidemics or climate change, could have caused the eventual exclusion of a comparatively larger population by an initially smaller one. Our findings shed light on the disappearance of the Neanderthals, showing that endogenous factors such as relative culture level, rather than such extrinsic factors as epidemics or climate change, could have caused the eventual exclusion of a comparatively larger population by an initially smaller one. How does this mesh with the already available evidence suggesting that Homo neandertalensis was already genetically in decline prior to its encountering Hss, which along with the above factors you mentioned suggests to me that the relative cultural level could only be seen as one of several likely reasons for H. neandertalensis' extinction? Nah. Time to revisit my theory that big-brained neanderthal groups were at the intellectual level of a small, liberal arts college faculty, and therefore incapable of doing anything useful. Whilst neanderthal was swanning around with metamathmatics and Steinschlagenmusikvereine performances, dull cromagnon was inventing better rocks and neanderthal recipies. The last neanderthal died with a cry of garlic? GARLIC? on his lips. That was my question also however I cannot challenge the math. Do you remember which year the study came out that made the genetic decline claim? Obvious there may not have been one main reason but a whole milieu and it may have taken thousands of years to happen. Three points for the satire but one question what definition of Steinschlagen musikvereine are you using? "Rock-pounding Music Society." Beer came later. My theory, which will completely agitate the OP...lol... We are a combination of our giant wild cousins and the greys. They are small, some three to four feet in stature, hairless, spindly with large heads. 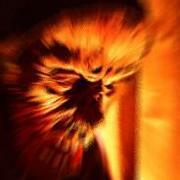 Our wild cousins stand up to 10 feet tall, sloped skulls, hairy all over, with massive muscles. And what do you know? We stand around 5 foot something to 6 feet something, a perfect average of the two, with a wide variety of large to smaller heads and variations along a spectrum of body hair, muscling and intellect. Whenever you cross two animals on the farm that are quite different but still able to interbreed, you get a really random smattering of all different weird combinations in the second generation down. And from there it continues. If you turned that herd out wild together and they all interbred without being mate-selective, they'd eventually homogenize like the wild mustang horses which are part draft and part light saddle breeds. What they've turned into is a semi light/heavy breed with the ugly draft breed head, generally speaking. However, humas higher brain function and more complex social conditioning causes us to be very picky about who we breed with. Some seek opposites. Some those more like themselves. So the wide presentation along the spectrum of the hybrid is still preserved, especially in "melting pot" countries like the US. 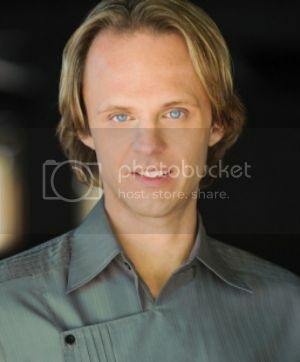 & of course you find everything else along the spectrum between the two.. Look at the real estate above David Wilcock's eyebrows...wow! There it is. My theory. Can't wait for the shredding. But the pictures are compelling, no? ... and what does SShillouette look like ? Why would we care? If he doesn't like the way he looks he should sue his parents. But the pictures are compelling, no? Waa waa waaaaaaaa.... Told you so. What do I look like? Pretty much a cross right down the middle between the two. Definitely don't have as much real estate above my eyes like D. Wilcock. But my frontal lobe does rise up much more significantly than N. Valuev. His practically slopes straight back just above his eyebrows, and with his shaved head you can see even a sagital crest like the Patty figure has, like a pointed ridge at the back of the skull at the top. I'm about 5 foot 9 inches tall. My post is on topic. The discussion is where did human DNA come from; which hybridizing could be responsible for what we see presented today. I've offered my theory. Is this going to be like the Sahara thread where if everyone doesn't fall in lockstep with "the group" ( you know who you are), they'll get a warning ...? I am unaware of any tangible evidence proving the existence of "greys" let alone their genetic make-up catalogued in order to show HSS is a hybrid of them and HSN. If you are to speculate that HSS is a hybrid of HSN and something else, it is kind of necessary to have evidence to back the assertion. There would be more evidence for a cross between Denisovans and Neanderthals than Grey's and Neanderthals. At least there Denisovans actually existed. But Jarocal, DNA from the unevidenced greys goes hand in hand with the equally unevidenced "sagital crest" SSilhouette claims Nikolai Valuev has . It's rather apparent that there's no sagital crest on Nikolai Valuev. That aside though he might share a more Neanderthal-looking morphology in regards to his skull, while it wouldn't be a dominant trait amongst modern humans, it isn't exactly unheard of. My post is on topic. No it is not on topic any further attempts to derail will be reported. It would however be on topic if he posts the genetic evidence from "Greys" and how closely it corresponds to the parts of HSS genetics not derived from Neanderthal.
" My son, your head will never return to a normal shape unless you stop wearing this crazy hat . " Let's just say that the thousands of eyewitness reports describing large headed small framed, large-eyed gray skinned beings with small slit mouths and spindly hands would amount to good circumstantial evidence in a court of law. Plus, just look at the pictures in post #9 on the previous page. Especially, with regards to sasquatches, equally supported with thousands of eyewitness accounts across a wide spectrum of people, many of whom, like the alien reports, stand to lose by reporting what they saw..check out the profile shot of "Patty's" skull and facial features taken from the infamous film, and Nikolai Valuev. Amazing similarity. 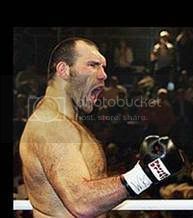 All you have to do with Valuev is add more hair and it's an identical match. He's 7 feet tall, massive, with a barrell chest over 3' wide. Then look at David Wilcox's frontal lobe area... very tall forehead. That nobody can deny. I'm leaving all posts in place (at least for the time being). This is just a reminder for all posters to stay on topic. This thread and this forum are not for the espousing of half-baked, unevidenced alien themes. We have a separate forum at UM for that. Do not attempt to derail or hijack the thread. Thanks Cormac I must have been using the wrong key words!